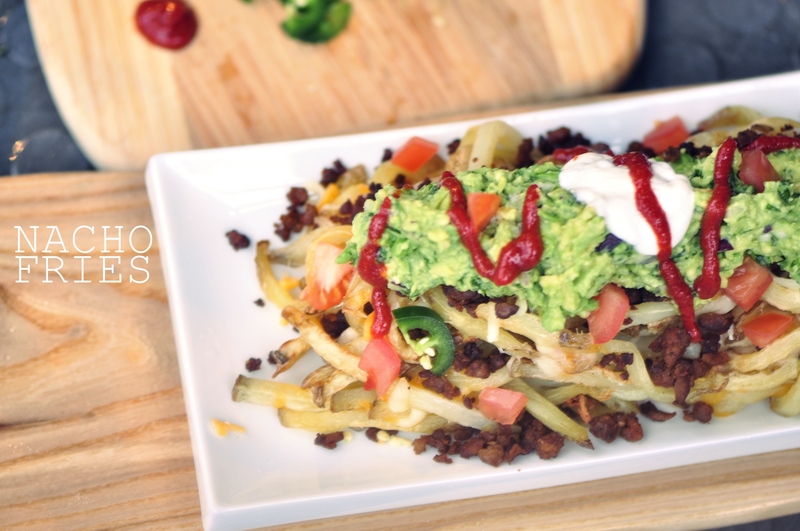 Nacho Fries: French fries smothered in guacamole, vegetarian ground beef, sour cream, tomatoes, jalapeno (a.k.a. the works). Only on The Vegetarian Ginger.